Scatter Diagram | What is Scatter Diagram in 7 QC Tools? 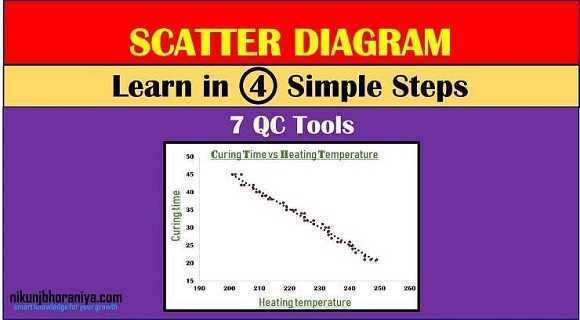 Home7 QC ToolsScatter Diagram | What is Scatter Diagram in 7 QC Tools? → Scatter Diagram is used to study and identify the possible relationship between two variables. → It is used to establish the existence of a correlation, Type of correlation, and Strength of the relation. → Scatter Diagram is the best validation tool of Basic Seven QC Tools. → It is a graph in which the values of two variables are plotted along two axes of the graph, the pattern of the resulting points will say the correlation between two variable. → It is also called a correlation chart. → Weight and Height of a man. → Hardness and carbon content in the product. → Visual Inspection mistakes and Illumination levels. → Child’s height and Father’s height. Collect data for we have to find a correlation. Choose an independent and dependent variable. Construct the Graph and add the titles & trend line. 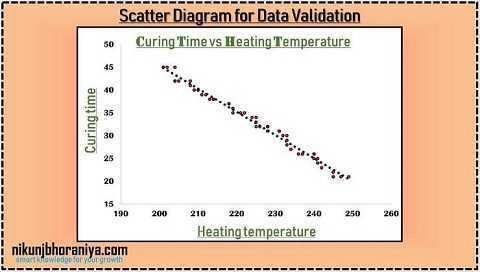 → We have to find is any correlation is present or not between curing temperature and curing time. → If we have more data sample then it will give a more precise result. → The dependent variable is usually plotted along the vertical axis i.e. in Y-axis. → And dependent variable also called as a measured parameter. → The independent variable and is usually plotted along the horizontal axis i.e. in X-axis. → The independent variable also called as a control parameter. 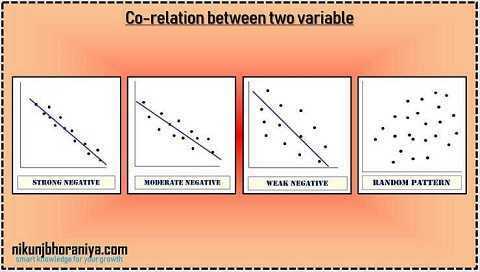 correlation between the two variable. → It is beneficial to confirm a hypothesis (assumption) between two variables that these are related or not. → Provide both visual and statistical means to test the strength of a potential relationship. 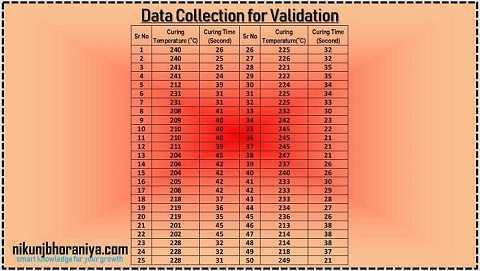 → It is a very good validation tool. → Used for proving the relation between cause and effect. → Plotting the diagram is relatively simple. → Scatter Diagram are unable to give you the exact extent of correlation. → It does not show you the quantitative measure of the relationship between the variable. 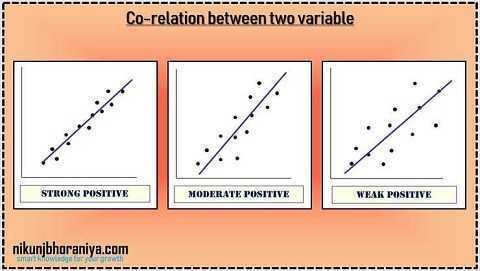 → This chart does not show you the relationship for more than two variables at a time.